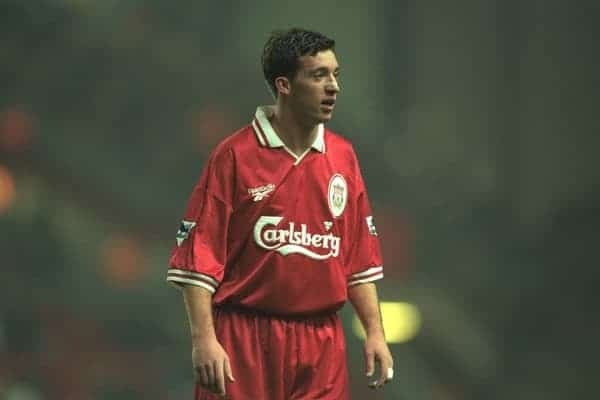 Robbie Fowler is the one of the most popular, talented players in the history of Liverpool Football Club, and, taking a break from the Raheem Sterling saga this week, we take a look at his five best ever goals in a Reds shirt. Abzorbed are bringing Fowler to the King’s Hall in Stoke for a very special black tie evening on Friday, June 5th 2015, where the former Red will be joined by some special guests including Liverpool-born comedian Willie Miller. Tickets are available with 50% off by using the promo code ‘ANFIELD15’ — get them here! And don’t miss the chance to win a photo opportunity with Fowler himself — entry details here. Buy tickets - use promo code 'ANFIELD15' to get 50% off!